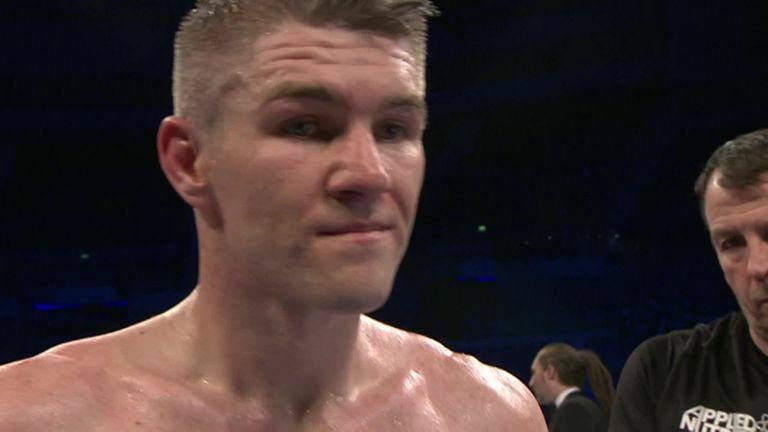 Liam Smith pounded Sam Eggington into a fifth-round stoppage in his home city of Liverpool on Saturday night. 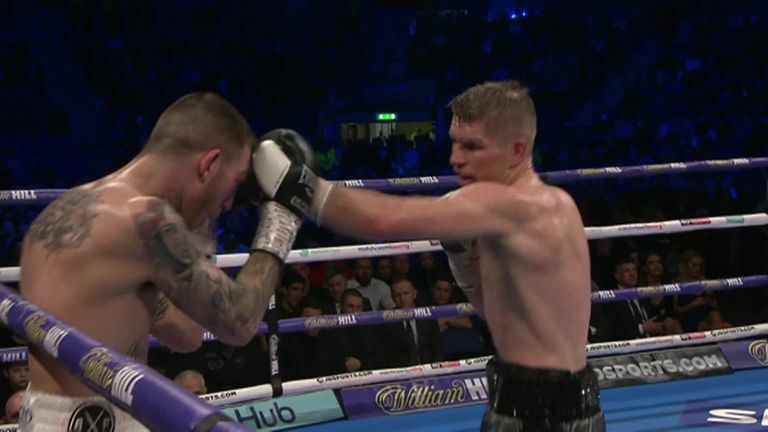 Former world champion Smith proved himself to be levels above Eggington and inflicted damage from the opening bell until the referee mercifully stepped in. "Give me two fights then I'll fight anyone," Smith said afterwards as he eyes another world title fight. Smith's jab was a problem for Eggington from the first exchange when it became clear the visitor from Birmingham lacked the size or power to compete in a trade of punches. Eggington, his right eye badly swollen already, was saved by the bell at the end of the second round when his head was rocked backwards by a vicious Smith punch. He was in survival mode then from onwards and it took Smith less than three more rounds to end the fight. His bludgeoning shots became unanswered and Eggington was stopped on his feet. Attention for Smith, who previously held the WBO light-middleweight belt, turns to earning another world title shot. His only two career defeats came in world title bouts against Saul 'Canelo' Alvarez and Jaime Munguia. Smith's trainer Joe Gallagher said: "We've seen Sergio Garcia beat Ted Cheeseman - [Garcia] is No 2 with the WBC. If that was a final eliminator that would give Liam a mandatory shot at the world title." Promoter Eddie Hearn added: "Kell Brook is a big domestic fight for Liam Smith. Jessie Vargas is a big fight, as well."